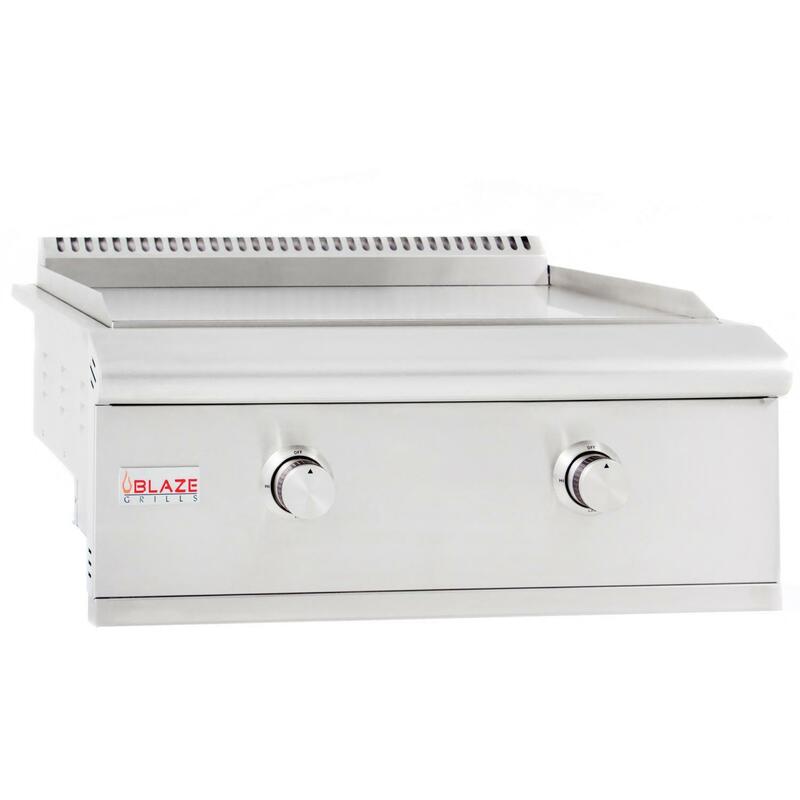 Product Description: Blaze 30-Inch Built-In Natural Gas Griddle - BLZ-Griddle-NG. Expand your outdoor cooking into new realms with the Blaze built-in gas griddle. The amazing versatility of the Blaze griddle allows you to cook up bacon and eggs, juicy hamburgers or sizzling fajitas with rice and veggies for the whole family. 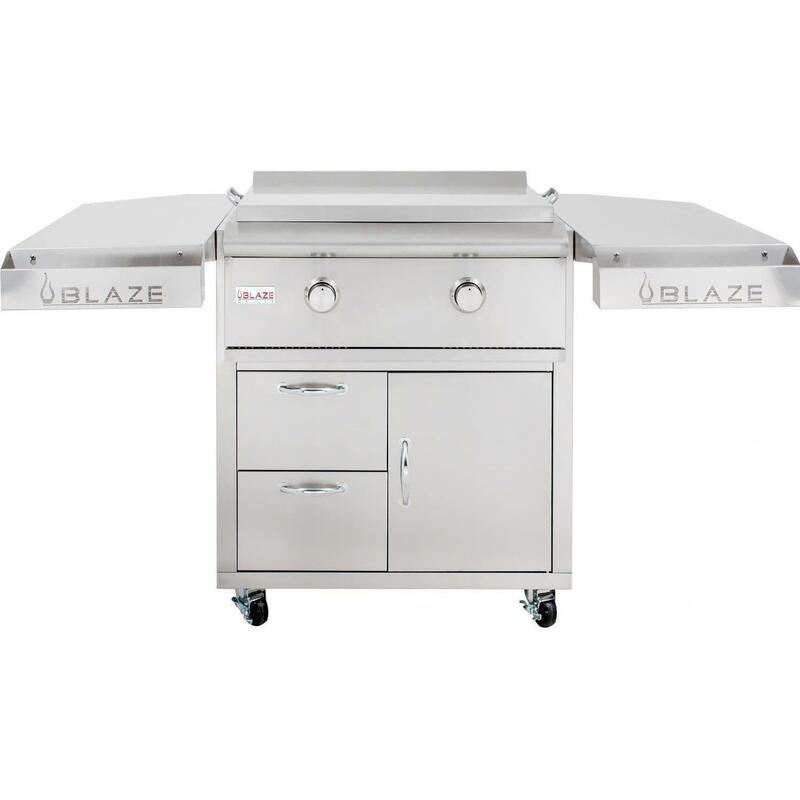 This Blaze built-in natural gas griddle is equipped with two commercial quality, 304 stainless steel U-shaped burners that each deliver 18,000 BTUs of cooking power for a total of 36,000 BTUs across the 495 square inch stainless steel cooking surface. Push and turn flame-thrower primary ignition, backup flash tube secondary ignition and cross tubes ensure a steady, reliable flame with every start. A large capacity grease tray with a hole in the center directs grease down to the drip tray below for easy cleaning. This ETL certified gas griddle is constructed entirely with 304 grade stainless steel and includes a stainless steel lid to cover the griddle plate when not in use.